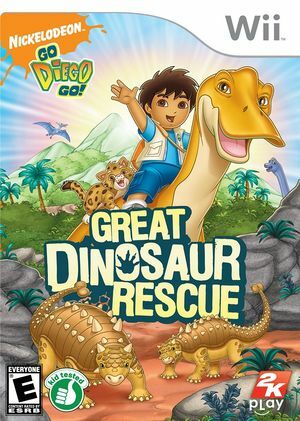 Go, Diego, Go: Great Dinosaur Rescue lets gamers travel through time with Diego, Alicia, and Baby Jaguar to reunite their friend Maia the Maiasaura with her dinosaur family. Players use more than 12 different Wii Remote motions to stomp like a dinosaur, climb across monkey bars, fly on a Pteradon, and bounce over obstacles on a pogo stick. The graph below charts the compatibility with Go, Diego, Go! : Great Dinosaur Rescue since Dolphin's 2.0 release, listing revisions only where a compatibility change occurred. This page was last edited on 11 January 2018, at 11:43.